Are you ready to Seal the Deal? Order your copy by clicking here. To book Suzi Pomerantz as a speaker or for a media interview, please contact her at suzi@sealthedealbook.com or call (301) 601-1525. 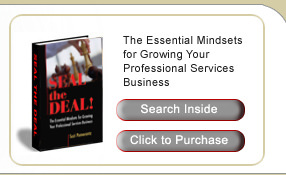 To share feedback about the book, email feedback@sealthedealbook.com. We welcome your input!